Performers include: Analeigh Tipton, Jake McDorman, Nicolas Wright, Jade Catta-Preta, Chloe Wepper, and Kurt Fuller. This romantic comedy is based on a simple premise: The only way to maintain relationships (with lovers, spouses, family, co-workers, or friends) is to keep most of our thoughts to ourselves. Dana (Analeigh Tipton) and Peter (Jake McDorman) are a couple who are navigating the complicated terrain of a modern day relationship. We hear Dana and Peter’s inner thoughts, highlighting the differences of men and women as this couple traverses the highs and lows of dating. Dana grew up in a small town with her sights set on New York. She romanticized about life in the big city and her polite, sweet nature is often misinterpreted as naiveté. However, she’s a smart girl who’s generally one step ahead of those who dismiss her. Peter, on the other hand, grew up in New York and feels that he has seen and done everything the city has to offer. While Dana is determined to succeed in New York in both business and love, Peter is perfectly content to go on dating his way through Manhattan. Peter’s wealthy sister-in-law and Dana’s college roommate, is Amy (Jade Catta-Preta) — a dilettante in the sense that she has a thousand different passions, and unique because she masters each of them. Dana’s husband, David (Nicolas Wright), is Peter’s brother. He loves his wife and money. David is more than happy to let Amy take the reins of his life because, after all, she’s doing a better job of running it than he ever would. Chloe (Chloe Wepper) is Peter and David’s half-sister from their father’s third marriage. Like David, Chloe is not afraid to say what she thinks. Unlike David, what she has to say is actually perceptive and intelligent. William (Kurt Fuller), the kids’ father, is incapable of understanding that he’s wrong about anything. He loves being the authority figure, and since all of his children work for him, he’s never had one moment in his adult life when they haven’t had to do what he has wanted. When Dana’s ex-boyfriend shows up in New York to win her back, Peter does everything he can to show Dana how much he cares, even letting her go if that’s what it takes. David helps Chloe get out of her dating slump by showing her how to use the Cooper family secret dating trophy. First aired: December 6, 2014 (online). What do you think? Do you like the Manhattan Love Story TV show? Do you think it should have been cancelled or given more time and renewed for a second season? Love it! I really fall in love with everything, why stop this story? I agree with all of the comments. I also DVR this show. It was funny and endearing. I actually became invested in the characters in its short life span. A lot of great TV comedies don’t get a chance to build its fan base. It seems as if the networks bail out before the series gets its footing. The Office had low views at the beginning and was on the presuppous of being canceled but the network have it a chance. We all know what happened there, I’m just saying. Totally loved this show. I really hope they consider bringing it back. I think people found out about this show much after it had been cancelled which is unfortunate because I love this show. Each character is so unique and interesting. I was so engaged 1 episode in and then I had to find out it was cancelled. This show was great and should really be brought back. I just started watching the show On Demand last week and both my husband and I love it! It is so funny. All the characters are interesting. So sad to hear it’s cancelled. Should not have been cancelled. This is the best sitcom on tv. It needs to be on cable or nefix !! It was an enjoyable and relaxing show; the characters could have been developed to find out more about the others in the group and family. I would have expected one or two series. Why not just release the unshown episodes on youtube etc, then those of us that like it can still see it. Love this show so much… I think this show is so much better than others romantic comedy that is out at the moment. It was even written that the odds was stack against them. I only watch it on hulu bc of my work schedule. .. pls, so how, renew this amazing, funny, different series!!! I agree with every comment here. I really enjoyed the show. I DVR almost every show because there are so many shows to watch, but this was one that I really looked forward to because of the characters. It’s too bad it was cancelled and I hope it is reconsidered or picked up on another network. I also enjoyed Selfie a lot more than I thought I would, but of course, it’s getting chopped too. The show may have had stiff competition, but I recorded it on my DVR and watched it the next day at lunch! I thought something was wrong with my recorder when it didn’t show up — then found out it was cancelled. I don’t understand the reasons for cancelling shows when other stupid ones return year after year. I thought this was a nice change and really miss it. So sad that shows don’t get a chance! People have busy schedules, and it may take a few weeks for someone to realize shows are on. Plus, I don’t know how ratings are calculated, but a lot of people don’t watch in real time. 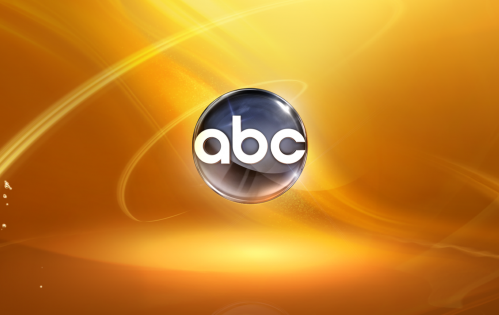 I love my Hulu Plus or the ABC app. I am sure they will come up with some new “reality” show, so the dumb of the world can be broadcast instead of laughter and hope.